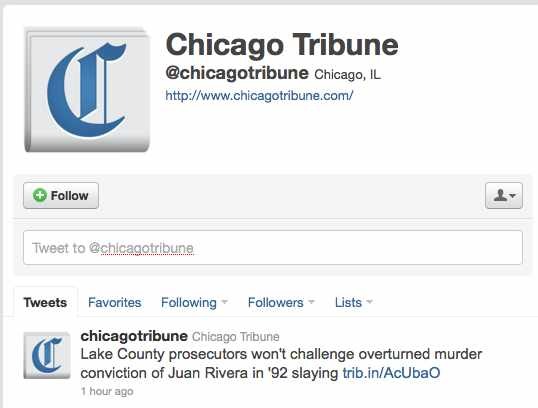 @chicagotribune – Headlines.10,000 tweets, 334 following, 68,800 followers. @ColonelTribune – More conversational with engagement with followers. Also has opinions about stories. 18,276 tweets, 23,443 foloowing, 817,382 followers. How many people are behind each of the Twitter? Do we know who those people are? Should we? 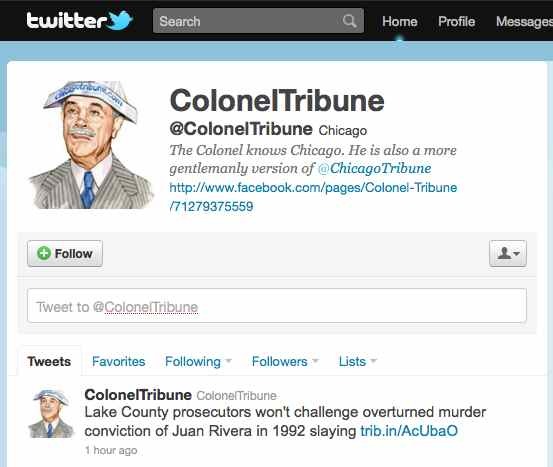 Is ColonelTribune marketing instead of news?